Real You Publishing Group, 9780984915163, 214pp. If you knew you may die soon, what choices would you make? From the bestselling author of HERE, HOME, HOPE and ALL THE DIFFERENCE . . . Jennifer Benson has it all: a successful career, a perfect husband, two kids and abundant friendships. The only problem is she may be dying. 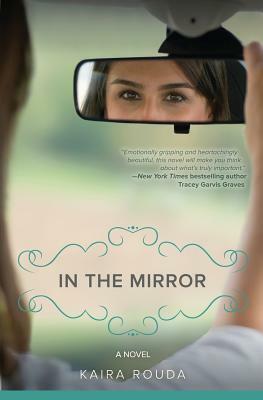 IN THE MIRROR is the realistic love story about a woman facing a deadly illness, and her loves past and present. It's a story that unfolds with a delightful blend of humor and poignancy, ringing true in the heart of anyone who has ignored a warning of her own. "Kaira Rouda has created relatable characters you'll care deeply about. Emotionally gripping and heart-achingly beautiful, this novel will make you think about what is truly important." New York Times bestselling author Tracey Garvis Graves "Balancing sadness and humor, the retrospective tone of this novel is both therapeutic and affecting. In the Mirror is an emotion-packed novel about a mother facing terminal cancer. It is a nostalgic tribute to the things that really matter: family and friends." Foreword "Jennifer's journey through cancer and her struggle to love her husband in the face of the return of her first love is something to cheer and rejoice in. A moving and uplifting novel about family and the struggles we all face to live every minute to the fullest." Anita Hughes, author of Monarch Beach and Market Street "I was completely absorbed by In the Mirror. This is a moving story from the unique perspective of a seriously ill patient who is a wife, sister, daughter and friend, examining all of those relationships with honesty and humor. This story will stay with you because of the questions it asks and the answers it offers." Lian Dolan, bestselling author of Helen of Pasadena.